First Person View (FPV) goggles are the perfect tool for allowing you to see the exact footage that your drone is seeing while it is in mid-flight. This means that equipped with the right pair of FPV goggles you will be able to pilot your drone in a way that you never could have done by using a mobile phone or tablet app, or even a video game-like controller that some apps come equipped with. Updated: Now, DJI offers you another choice - DJI Goggles. The immersive experience that FPV goggles gives the user the ability to ignore what is happening on the ground and put all of your attention into what is happening in the sky, which is ideal in the world of drone racing. Here are the Top-5 FPV goggles for drone racing, as well as some key factors to keep in mind when shopping for the perfect pair of goggles for you. 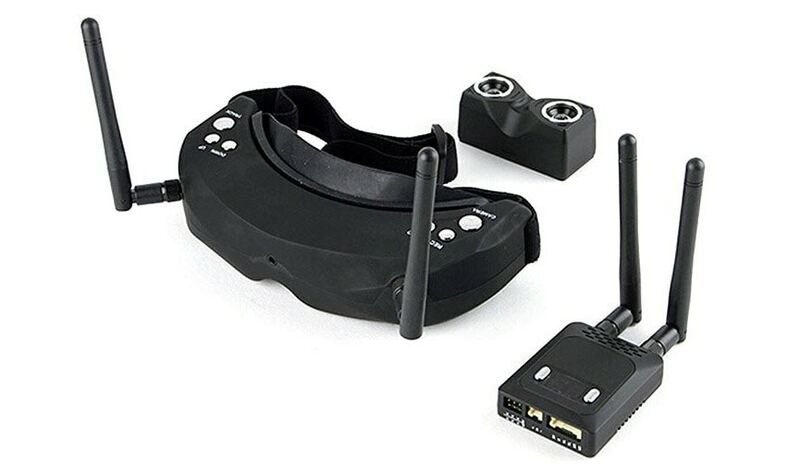 Whether you are looking to partake in drone racing, or just some in-depth aerial photography, the Walkera FPV Goggle 3 will be able to give you an extremely immersive FPV goggle experience. With a 32 degree field of view and a 800x600 screen resolution, the Walkera FPV Goggle 3 are the perfect pair of drone goggles for zipping your drone around the skies or making sure you have the best panoramic aerial photography thanks to its head tracking function that allows the camera to follow your head action in real time. While the Walkera FPV Goggle 3 has a higher price tag ($557.99), the user experience with these FPV goggles is like non-other. The goggles have focal distance flexability, which allows you to adjust them to your specific needs, as well as DVR and HDMI input, and 3D options. The Walkera FPV Goggle 3 have a 16:9 aspect ratio. The FatShark Dominator FPV goggles offer you an incredibly immersive experience thanks to its massive 42 degree field of view, as well as its 800x600 screen resolution. The optics on the FatShark Dominator are made of glass - rather than plastic like in a few other drone goggles - which allows users to experience sharper, and more clear images than a lot of other FPV goggles. 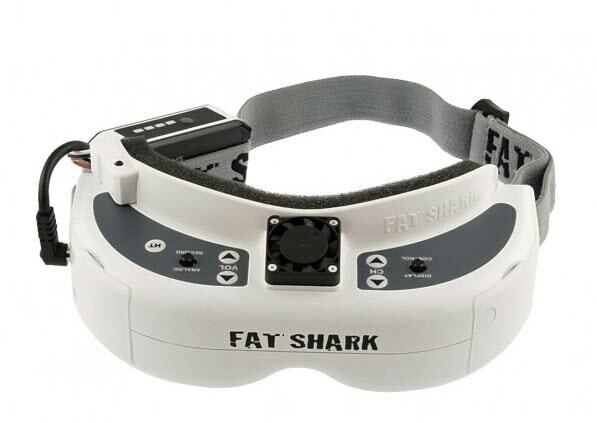 Boasting a $499 price tag, the FatShark Dominator comes with built-in head tracking, a 16:9 aspect ratio, as well 3D imaging. 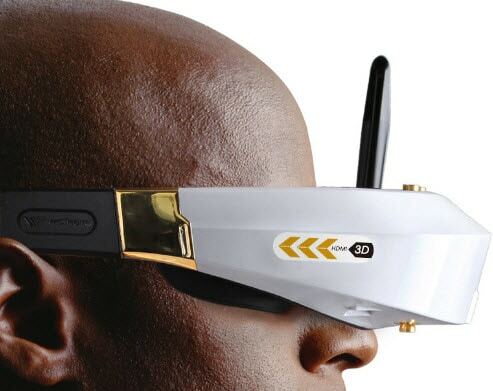 These drone goggles also have a DVR which allows you to record your experiences, and the HDMI input also allows you to transfer your images to other devices. The SkyZone SKY-02 FPV goggles will give you a good quality picture thanks to the 854x480 screen resolution, and a decent sized field of view of 30 degrees. These drone goggles come equipped with a built-in 40 channel 5.8ghz diversity receiver that will allow you to get the best quality video on each and every channel. For the $386.99 price range, the SkyZone SKY-02 give you a little something special in the form of their 3D capabilities. With the 3D camera and transmitter you can have your FPV experience in 3D (which is much like watching a 3D movie.) With a 4:3 ratio, DVR capabilities and built-in head tracking, the SkyZone SKY-02 is an excellent choice for any drone goggle experience you are looking for. While the Headplay HD may not be the most sleek fitting pair of box-type FPV goggles on the market, they are certainty one of the better pair of drone goggles on the market (as long as looking cool is not super important for you.) With a massive 72 degree field of view, and a gorgeous 1280x800 screen resolution you can rest assured that your image will be crisp, clear and in total HD (the Headplay HD comes with an HDMI port, as well.) 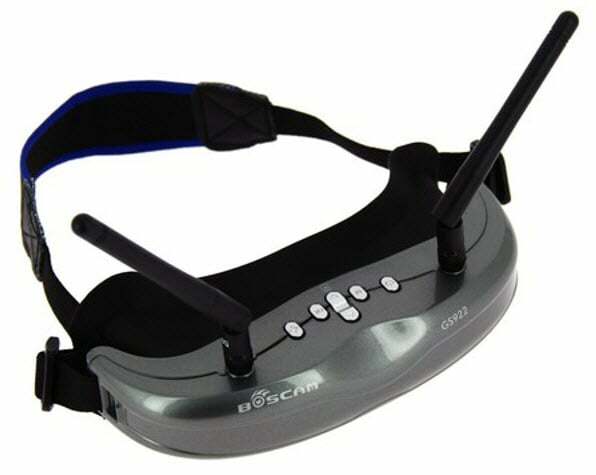 This pair of drone goggles comes with a 40 channel, 5.8 ghz receiver giving it a high range of compatibility. The Headplay HD goggles have a 16:9 aspect ratio, however, they do not support head tracking and do not have a DVR. What to Consider When Buying a FPV Goggle? Form: There are two major categories of FPV goggles, compact and box. With compact goggles you will be getting a lightweight goggle that should fit snuggles to your head and give you two small screens. While with the Box goggles you will have a large LCD screen (allowing for a better view,) however, they tend to be a little more heavy than the compact FPV goggles. Aspect Ratio: Your drone's FPV camera come in one of two aspect ratios - 16:9 or 4:3. This means it is absolutely crucial to make sure that you grab a paid of FPV goggles that match that aspect ratio. If you mix and match aspect ratios yo will end up with an image that is squashed or stretched out. While you may think you could get used to the skewed view, it takes away from the precision (and point) of having a FPV goggle when drone racing. 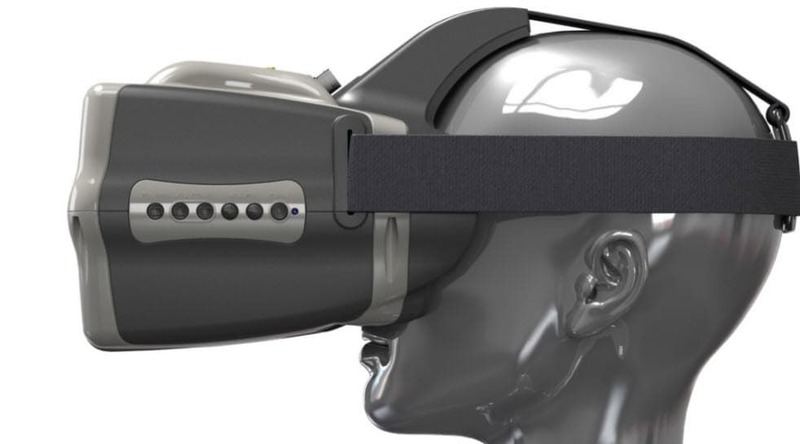 Field of View: Each set of FPV goggles comes with their own Field of View (FOV.) This means each pair of goggles has its own degree to which the edge of the viewing screen is angled from your eyes. The higher the FOV a goggle has the better your picture quality will be.